The Royal Society Enterprise Fund (”the Enterprise Fund”) today announces that it has completed two further investments, having made its first investment in August last year. The Enterprise Fund has taken significant stakes in Base4Innovation Ltd. which is developing a new generation of ultra-fast DNA sequencing technology, and in ‘green’ air filtration company, Nano-Porous Solutions Ltd. (n-psl). Base4Innovation Ltd, located in Cambridge UK, was formed in late 2008 to develop a radically new method of ultra-fast DNA sequencing using techniques based on silicon chip technology which can easily be scaled up. This high-throughput technology will cut the time and cost of genetic tests, enabling them to be used much more widely in supporting patient diagnosis and treatment. Co-investors alongside the Enterprise Fund include Base4Innovation’s existing backers Oxford Technology ECF and new investors Sir Martin and Lady Audrey Wood. Sir Martin Wood, founder of Oxford Instruments plc and a highly renowned entrepreneur, is also a Fellow of the Royal Society and the Woods are donors to the Enterprise Fund. The Enterprise Fund’s second investment is in Gateshead-based Nano-Porous Solutions Ltd. (n-psl). The Enterprise Fund is a lead investor in a £750,000 fundraising alongside local business angels including John Clough, former Chief Executive of Eaga Plc. The funding will enable the company, established in July 2007, to commercialise new ground-breaking nano-porous adsorbent hollow fibre technology. This has numerous energy-saving applications in cleaning contaminated gas streams across many sectors, including dramatic efficiency improvements in the $2bn compressed air treatment market, a focus of the company’s early-stage development strategy. The ground-breaking research on which the company was formed was carried out at the University of Bath, funded in part by a £250k ‘Brian Mercer Award’ from the Royal Society in 2006. The RSEF is a national effort to support a culture of scientific innovation by investing in early-stage technology business opportunities founded on outstanding science. 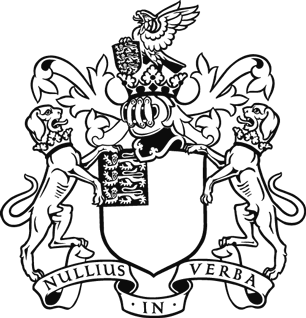 The investment phase of the RSEF was launched in September 2008 as one of a number of initiatives leading up to the 350th Anniversary of the founding of the Society in 2010. The Enterprise Fund is philanthropically backed, with a goal to raise £20 million, and has already received generous donations from visionary leaders including Adrian Beecroft, Roger Brooke, Hermann Hauser, Stelio Stefanou and Lord Sainsbury of Turville. The two investments in UK-based companies announced today establish the Fund as a key source of funding in this sector.